In the satellite communications (SATCOM) industry, we have built decades of expertise and close customer relationships to make our services and solutions robust, capable, global, flexible, accessible and secure for our government customers. With the introduction of cost-effective wideband commercial communication satellites, we are rapidly transforming the technical and business models of legacy fixed services to offer SATCOM as a Service approaches pioneered by trusted mobile satellite operators. This evolution is taking place in order to meet increasing demand for high-bandwidth connectivity while on the move. The unique challenges of global delivery are met through a blend of new spacecraft technology and new cloud computing paradigms. However, even after a generation of use, our industry is still countering some false perceptions held by a number of these customers about SATCOM as a commercially-provided managed service. Some federal decision makers revert back to aged or uninformed perspectives reflective of longstanding cultural views still lingering today – avoiding calculated and ultimately beneficial shared risk-taking in favor of inefficient, dysfunctional, piecemeal and antiquated procurement models. 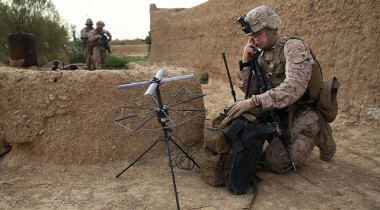 For many years, theDepartment of Defense(DoD) has primarily paid for commercial SATCOM (COMSATCOM), for example, through Overseas Contingency Operations (OCO) funding – regardless of private industry’s proven track record in supporting mission-critical operations such as Airborne Intelligence, Surveillance and Reconnaissance (AISR), Very Important Persons Special Airlift Missions (VIPSAM), Blue Force Tracking (BFT) and emergency response/public safety. Furthermore, rather than acquiring a capability as a service with established and predictable service level agreements, historical leases are typically of spectrum or MHz. This inefficient and costly model remains in play mainly due to a prevailing mindset that says, “This must be the way we do things because it has always been the way” (i.e., status quo for the sake of status quo). MYTH: A “One Size Fits All” Acquisition Model Best Supports Users. As indicated, despite all of the progress that industry has made, there is still resistance to the acceptance of these advancements in favor of clinging to status quo acquisition models. This prohibits users from leveraging the entire range of solutions available, which will enable them to do their jobs. Users need to have access to nothing less than a “fully stocked toolkit” – with a finite amount of legacy, purpose-built platforms for specific unique needs, as well as modern, commercially-provided options to readily obtain mission-critical mobile and highly available capabilities. Without such a complete toolshed, an essential, fully integrated architecture with a heterogenous networks and terminals, ongoing innovation and unquestioned resilience will remain out-of-reach. MYTH: A managed services model will not work because commercial satellite services are typically not compatible with most of the terminals, antennas and modems that the military owns. Industry continues to extend its capabilities – enhancing the services provided to the government users – and does not view transitioning from legacy terminals as an insurmountable challenge. These terminals will undergo a recapitalization process which must take into consideration the deployment of adaptive modems and multi-band features that will enable roaming across heterogeneous networks. For many communication requirements, embedding terminals into SATCOM as a Service allows for “Terminals as a Service,” which ensures continual technology refresh and modernization at an affordable rate. If we hold on yesterday’s hardware to avoid a short-term and essential budgetary expense, then we are pressing an “easy button” that stalls forward momentum for a unified and integrated architecture. The architecture is obtainable best through a strong government and commercial partnership in which trusted satellite industry leaders collaborate side by side with their military counterparts to solve SATCOM issues through enhanced capabilities, flexibility, mobility and resilience, so that capable COMSATCOM solutions are fully considered as part of the necessary recapitalization process. MYTH: Commercial systems are not as secure and interoperable as the government’s. There are still misconceptions that COMSATCOM is less “secure” and also not interoperable. As to the latter, industry is constantly engineering solutions and services so that they are integrated into baseline DoD architectures to “ease the pain” of agencies facing constrained military SATCOM (MILSATCOM) access as well as limited budgets. Such a unified architecture improves operational flexibility with seamless connectivity and functionality, allowing users to go anywhere the mission takes them, securely, reliably and cost-effectively. Our view is that, in addressing information assurance, industry continually invests so that systems are not only adequately defended but, in many cases, superior in this regard. In addition to the government, commercial satellite providers support a wide range of sectors, and each brings unique security challenges and requirements to satisfy. As trusted operators, we ensure the protection of internal and customer data. We do this for our own network efficacy as well as our economic viability. Working side-by-side with the government, industry obtains relevant insights into the critical requirements of agency operations, along with a deeper understanding of national security implications. Such companies are also able to adjust design elements and business strategies accordingly, paving the way for tactics, techniques and procedures (TTP) to function more effectively and safely in the diverse and contended environments. MYTH: In building its own satellite and ground networks, the government benefits from increased flexibility and independency. Aside from the often-overlooked fact that MILSATCOM systems are not for “free” to the end user, agencies appropriate decades of budgetary and personnel resources to running and maintaining their own stove-piped networks. This approach is ever more challenging in the face of budget pressures and a push to lower the total cost of ownership (TCO) of information technology throughout the government. To help respond to this challenge, advanced industry leaders build their systems with global mobile users in mind, with a commitment to investment into next-generation networks way into the future.And our systems, whether new satellites, ground stations or secure enclaves, are always innovating to meet or exceed customers’ demands. Cultural impediments notwithstanding, agencies are well positioned to benefit from ongoing industry innovation. SATCOM as a Service is readily available for implementation now. Like their cell phones, government users should perceive of high-bandwidth connectivity as a given, not an aspiration. With this, they will spend less time attempting to figure out how to get quality SATCOM services, and more time focusing on the tasks at hand, with mission success being the ultimate measure.